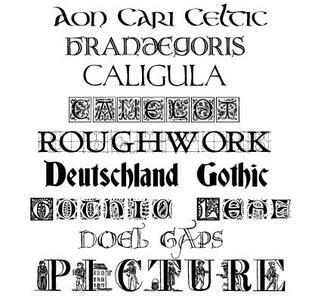 Some nice fancy fonts (22) . 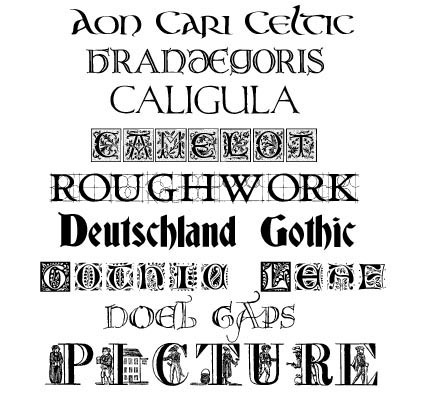 Includes "Aon Cari Celtic", a true calligraphy font made by hand, the nice "Roughwork" draft-style font, "Deutschland Gothic", a modern, appealing Gothic font, caps suitable for decorated and illuminated manuscripts, and many more. Great for crafts and art projects.